In July 2002 the 1960s-era Siam Intercontinental Hotel, at the time one of the most architecturally unique and beautiful hotels in Bangkok, surrounded by 26 acres of gardens, was demolished to make way for the construction of the Siam Paragon, a large high end shopping mall resembling a large concrete and glass box. Like the Siam Intercontinental, much of Bangkok's interesting and historic architecture and character is being swept away to clear the way for the construction of modern and soul-less shopping malls, condominiums, and office towers. By law, any building more than 100 years old is protected, but a large part of Bangkok's most interesting history occured much more recently than that. This site is an effort to document and preserve some of Bangkok's recent history. The main project concerns the hotels of the 50s, 60s and 70s, including the Atlanta, the Florida, the Miami, King's, the Ambassador and Chavalit,the Windsor, the Crown, the Rex, the Grace, the Nana the Rajah, the First, the Prince, the Opera, the Liberty, the Federal, the Malaysia, the Rose, and many others. As Bangkok becomes a city of shopping malls and condominiums, it's colourful, more interesting past should be preserved. The hotels of this era remain as some of the few remaining living monuments to this age. Oldbangkok.com hopes to preserve their memory before they fall under the wrecking ball, to be replaced by other sterile monuments to consumerism and pretentiousness. Another one bites the dust! November 15, 2010 - The Aree Hotel has recently been demolished to make way for yet another condominium development. December 8, 2008 - New historical images of the Dusit Thani, the Rajah, and the Chavalit Hotel have been added. New! 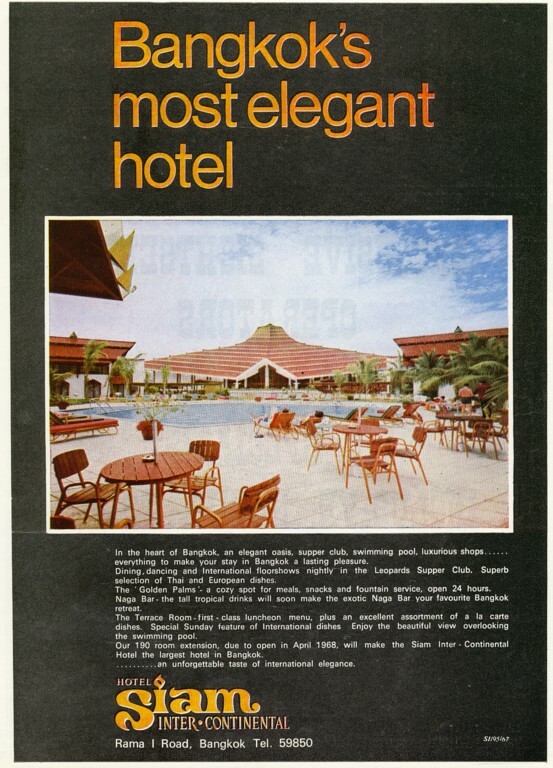 A reader recently brought to our attention the possibility that the Capital Hotel, which we had long thought to be demolished, may still exist. The Capital Hotel, was an early addtion to Bangkok's 1960s construction boom, and a hotel with a number of interesting connections to Thai history, so this turned out to be good news. Indeed, it still stands and will continue to for some time to come, according to the owner's plans for the property. Update! The Siam Hotel, long an old hotel landmark on Petchburi Road, has been torn down in mid-2007 to make way for construction of a new "boutique" hotel. New! 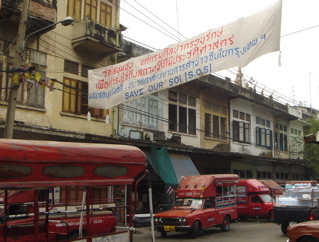 The Soi Wanglee community fights to save a piece of Bangkok history, including one of Bangkok's oldest bars. New! 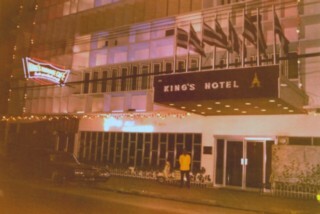 The 1959 vintage Kings Hotel on South Sathorn has a new owner. After renovation it will become M-Hotel Sathorn. The new owners have provided oldbangkok.com with an incredible set of historic pictures of the Kings Hotel from the collection of the previous owner. We will be adding these to the site in the coming weeks.